Benefit’s collection of super glowy highlighters will transform the luminosity of your complexion from first application, creating the appearance of skin that glows from within. Catering to all levels of glow preference, Benefit’s vast range of radiance-enhancing tools will light up your complexion like never before. 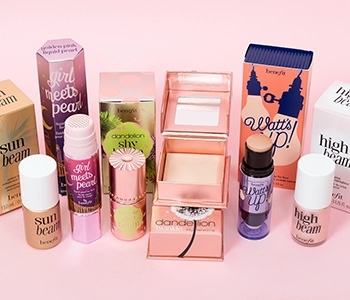 From creams to powders to liquids, Benefit’s glow-boosting highlighters will become your new favourite way to strobe, drape and highlight your skin.